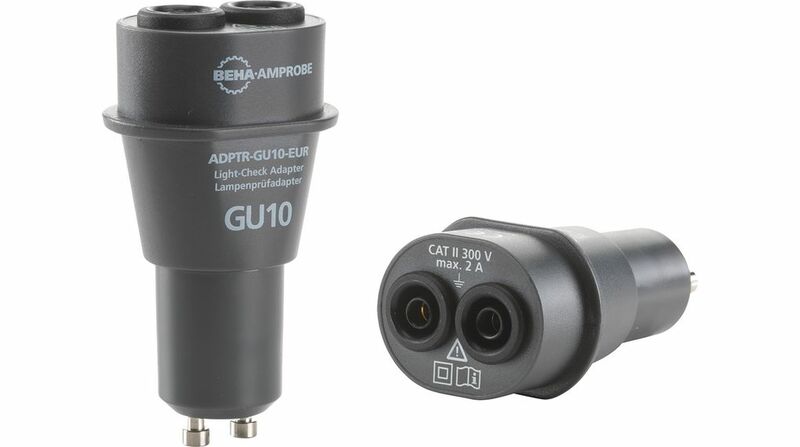 Please provide as much detail as possible regarding item 301-05-348, Light Check Adapter GU10. This Light-Check adapter is made to ensure your safety during testing light points. The adapters can be used in conjunction with a wide variety of test equipment that uses test leads terminating in 4 mm safety connectors. The adapter enables a range of tests to be conducted on light fitting terminals eliminating the need to hold test probes in place and ensure a good reliable and safe contact.